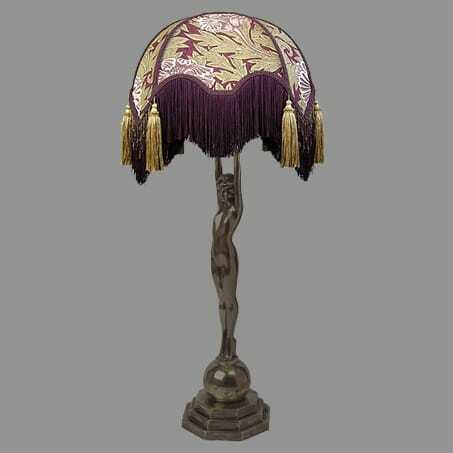 Victorian Table Lamp Figure with Tassel shade. Manufactured and Designed by David John Lighting Company in our Manchester UK Design Studio and workshop. Shades available in other colours and designs.